Solar electricity systems that are portable and able to be securely packed are reducing thefts in off-grid communities in Africa. While theft of solar panels is a common problem, innovative “grid-in-a-box” solar designs that come in secure shipping containers prevent theft and allow the system to be packed away overnight or in case of a crisis. 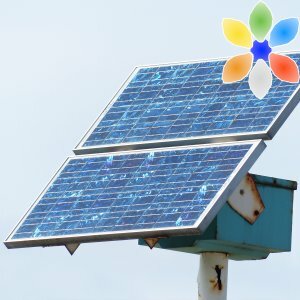 Portable solar energy can be used to pump water, refrigerate food, charge cell phones, spawn new business ventures, and light up homes, schools, and hospitals. This post is part of a series on examples of multisolving, or climate-smart policies that simultaneously work to mitigate climate change while providing co-benefits such as the ones described above. The multiple benefits analysis was done using the FLOWER framework.